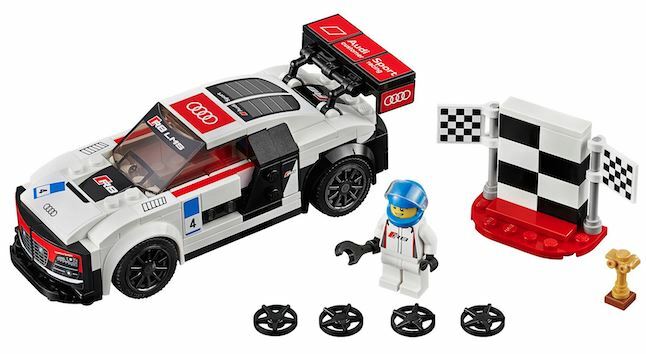 Audi in the US is appealing to younger consumers — and Audi fans of all ages — with Lego versions of some of the brand’s fastest cars. The toy manufacturer has extended its “Speed Champions” series by coming out with versions of two Audi race cars. For the honour, the iconic maker of connectable, plastic toys selected the R8 LMS ultra that won in the Nurburgring in 2014, and the Audi R18 e-tron quattro from the FIA World Endurance Championship. The two Audi models are among seven new vehicles that are getting the official Lego treatment this spring, a lineup of nameplates that also includes the Chevrolet Corvette Z06, Ford Mustang GT, a Ford F-150 Raptor model, a Chevrolet Camaro drag racer and a Porsche 911.